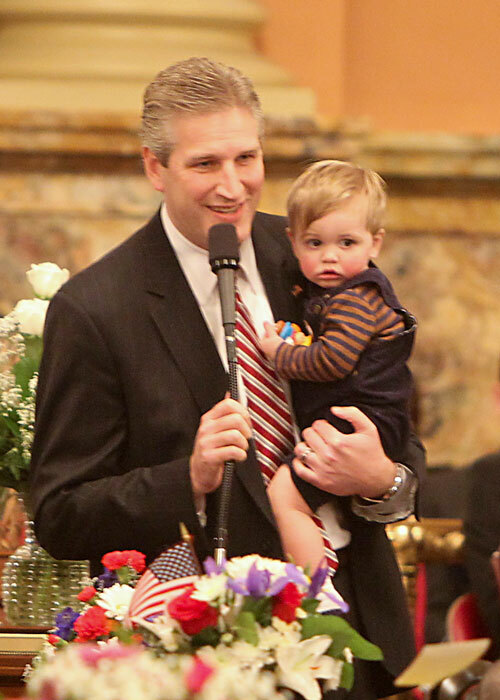 Rep. Todd Stephens holds his son Will while addressing the House after taking the oath of office on the floor of the state House. Stephens was sworn in on Will’s first birthday. HARRISBURG-- Rep. Todd Stephens (R-Montgomery) was sworn in to his second term representing the 151st District in the state House. Stephens was first elected in 2010.